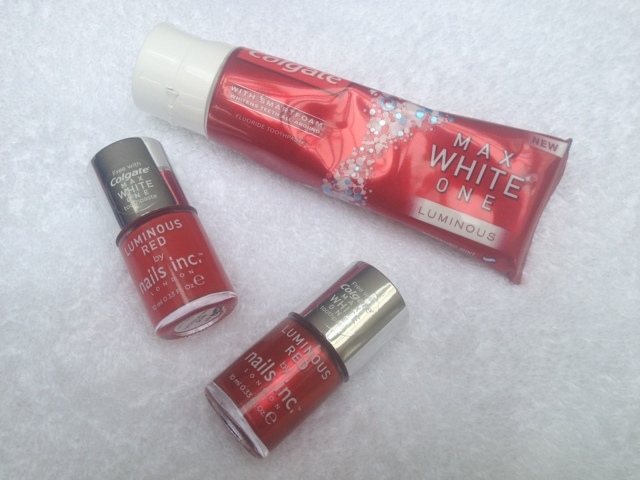 I am proud to announce a very exciting new collaboration between Colgate and Nails Inc for the launch of Colgate's new Luminous MaxWhite One toothpaste. The new luminous toothpaste contains SmartForm technology which bursts into foam cleaning between every nook and carny of your mouth leaving you with a luminous white smile. 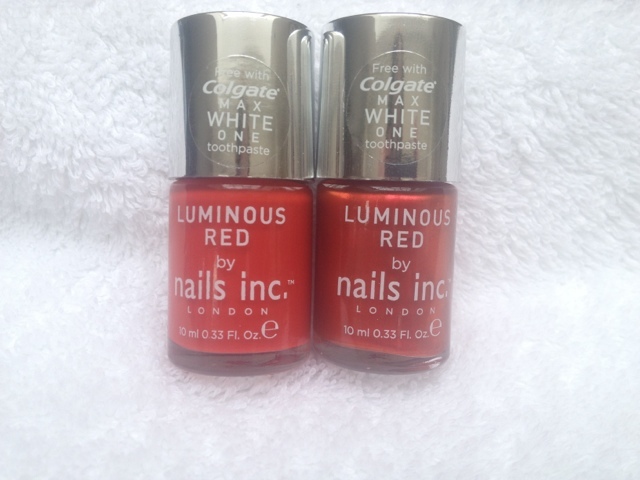 To celebrate this new launch Colgate have teamed up with Nails Inc to launch two new luminous nail polishes - Luminous Red Gloss and Luminous Red Metallic. For £3.99 you can get your hands on the new Luminous toothpaste and a bespoke 10ml bottle of one of the new shades completely free. 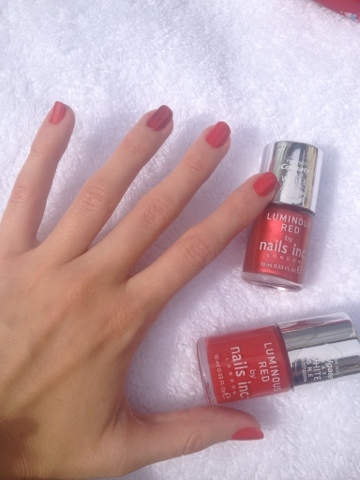 This is an amazing deal as Nails Inc polishes are normally £12 on their own. 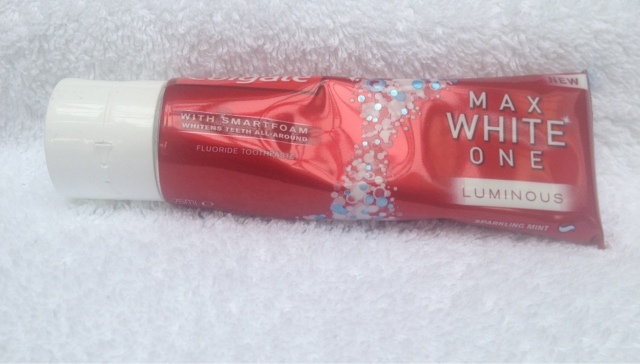 I've been using the Luminous MaxWhite One toothpaste for about a month now and I can say that I've seen quite a noticeable difference in the whiteness of my teeth, and really enjoy the foaming sensation you get. 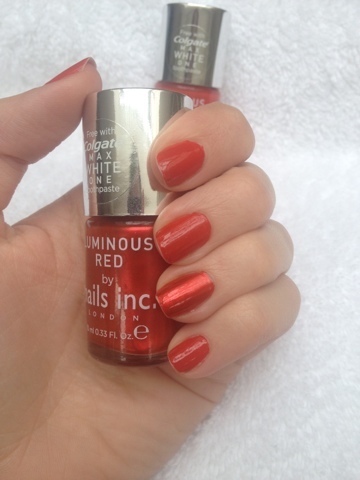 I think the nail polish colours are going to be the perfect reds for the Christmas season- the Luminous Red Gloss is a lovely glossy red and the Luminous Metallic Red is such a lovely shimmery colour without being too metallic. This offer will be exclusive to Boots from September 2nd whilst stocks last so snap it up whilst you can!